For MySQL, there is no need to download the jdbc driver. When Liferay detects you want to use MySQL, it will automatically include the driver (mysql.jar) in your $TOMCAT_HOME/lib/ext. Create a blank database using the UTF-8 encoding and give it a name. Let’s consider that the created database is “lportal”. Set the correct username and password to connect to your database. 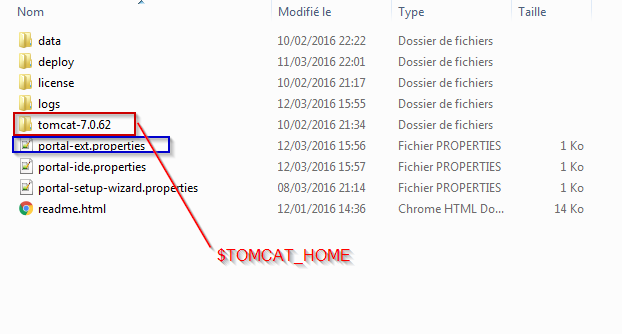 The portal-ext.properties is located in the same folder as your $TOMCAT_HOME. If it doesn’t exist, create it. If you go back to your database, you will see that it’s now populated by about 180 data tables that Liferay created on startup. If you already configured your portal with hsql and want to re-configured it with the MySQL Database and add samples data, open portal-setup-wizard.properties file located in the same folder as portal-ext.properties. Set the setup.wizard.enabled to true and restart your server.